The heat shield of the Space Shuttle, showing the ceramic tiles and reinforced carbon panels that constitute its construction. Discarded heat shield of the Opportunity rover on Mars. 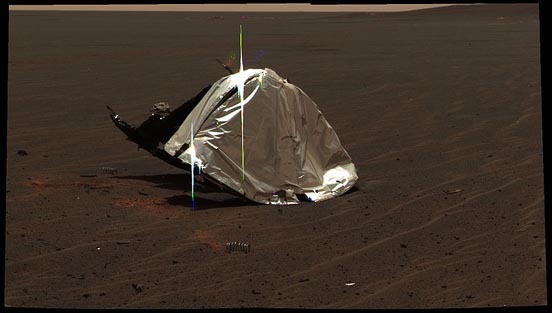 It has been inverted by its impact with the ground. 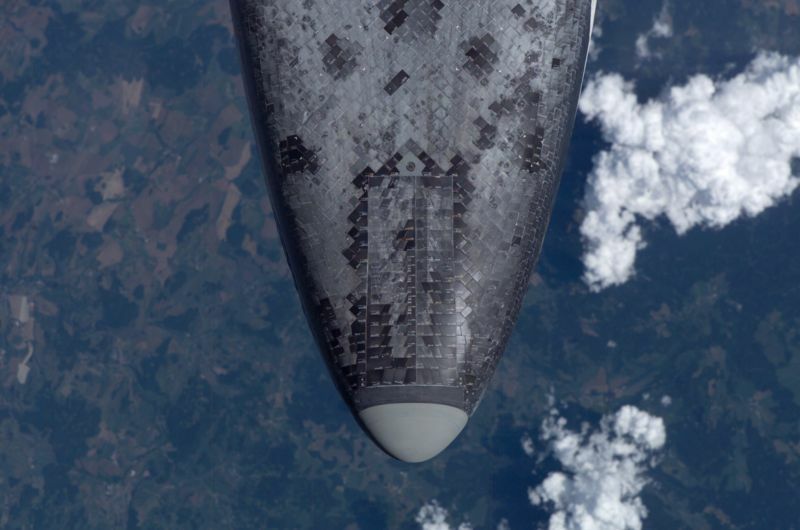 A trans-atmospheric heat shield is a protective layer on a spacecraft or ballistic missile that is designed to protect it from the high temperature of atmospheric entry, on a body with an atmosphere, such as Earth, Mars and Venus. Heat shields also exist as part of modern automobiles.